Full lips impart a sense of fertility, youthfulness and health to a face. Thin lips have the opposite connotations. Some patients are born with thin lips, others will notice that they lose fullness in their lips as they age. Fortunately, there are many lip enhancement options to help patients achieve more fullness and definition to their lips. The first step is understanding what the patient is looking for in lip fullness. We have all seen ridiculous lips and I do not do that!! I prefer natural and age appropriate lips. Beauty is all about proportion and balance. I never want one feature to take away from other features, and lips should never enter the room before the rest of you. Often patients will bring in pictures of lips they like. Whether we can achieve the desired results depend on the patient’s anatomy. The easiest lip patients are the ones who had full lips and have lost some volume because of time. Hyaluronic acid fillers such as Juvederm Ultra or Volbella are nice fillers for this purpose. They allow the patient to have a 5 minute procedure in the office and leave with their lipstick on and go back to their activities. The lips are numbed with a topical anesthetic cream, and the filler has an anesthetic in it as well. Patients who have never had full lips can benefit from a little Juvederm filler, but too much can result in a duck look. If a patient with thin lips has a nice cupid bow and thin lips, a procedure under local anesthesia can be performed in the office where a strip of Alloderm can be placed in the lip. Alloderm is human skin in which all the cells have been removed. When it is placed in the lip, most patient’s cells grow into it and fill up the framework. Alloderm basically becomes part of the body. I do not like GORTEX implants for the lips as they can harden and stiffen the lips. Patients with a flat thin lip can benefit from a lip advancement. This office procedure removes a strip of skin next to the pink part of the lip. The pink part of the lip is rolled out creating a more defined lip. Often this procedure is combined with the Alloderm augmentation if additional volume is desired. Patients with a long upper lip and well defined cupid’s bow, may benefit from a nasal base resection. A gull wing ellipse of skin is removed from the bottom of the lip, resulting in a scar along the bottom of the nose. WHICH LIP AUGMENTATION IS RIGHT FOR YOU? Not sure which procedure is right for you? 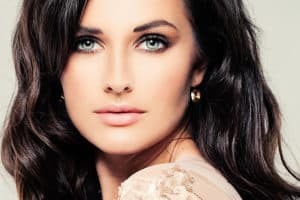 You can rest assured that Dr. Brian Maloney at Maloney Center in Atlanta, Georgia, along with his entire staff, will make sure that you understand all the details about any surgical or non-surgical procedure you are considering. You will be able to review before and after photos, read other patient testimonials, and ask as many questions as you like. They all want you to be completely comfortable with whatever decision you make. If you’re ready to find out, call 770-804-0007 to schedule your consultation with Dr. Brian Maloney. Maloney Center is located at 6111 Peachtree Dunwoody Road, Atlanta, Georgia and conveniently located to those living in Smyrna, Brookhaven, Lawrenceville, Decatur, Dunwoody, Sandy Springs and North Druid Hills. © 2017 Maloney Center for Facial Plastic Surgery. All rights reserved.